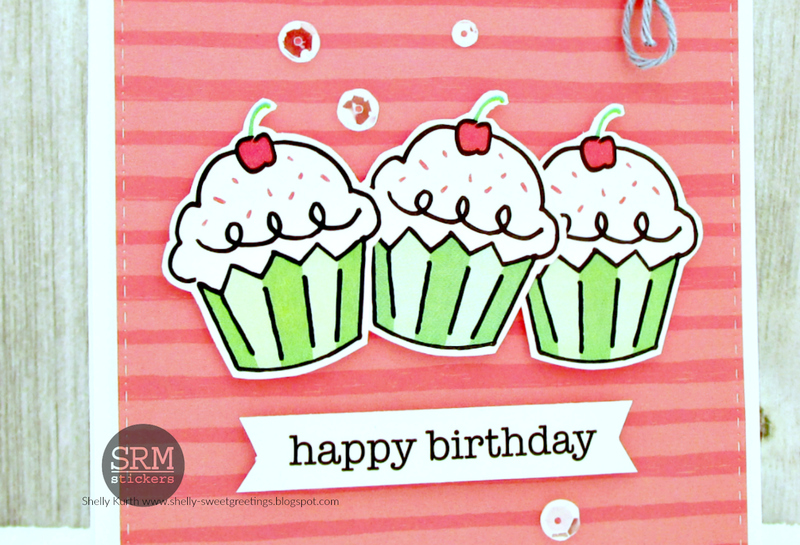 I started with my cupcakes. 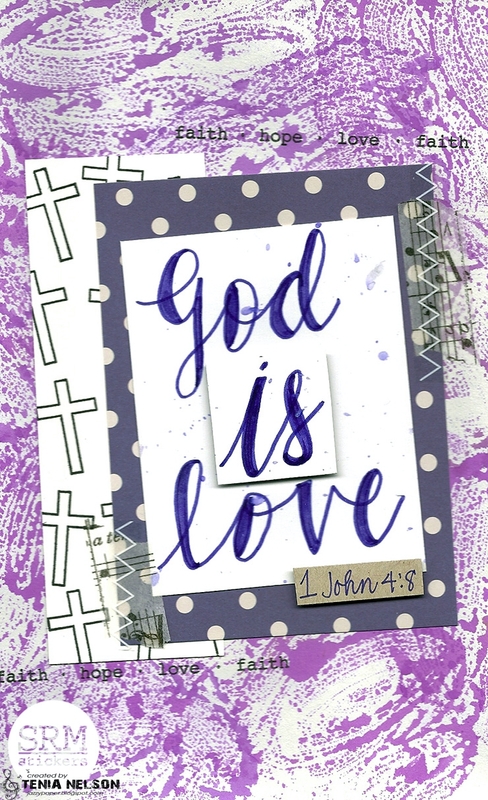 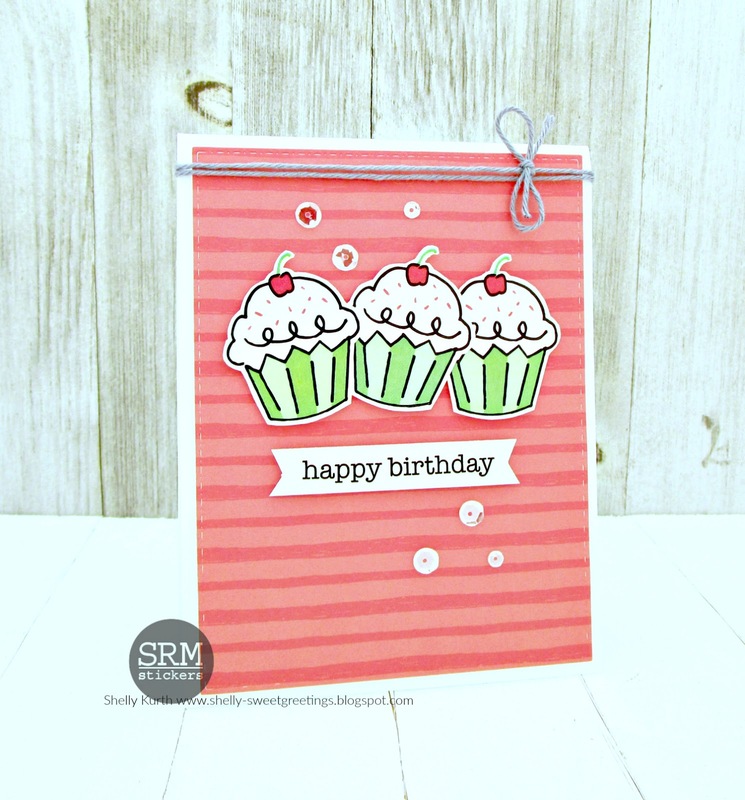 Which I simply added my cupcake stickers to a piece of white cardstock and then did come cutting with them. 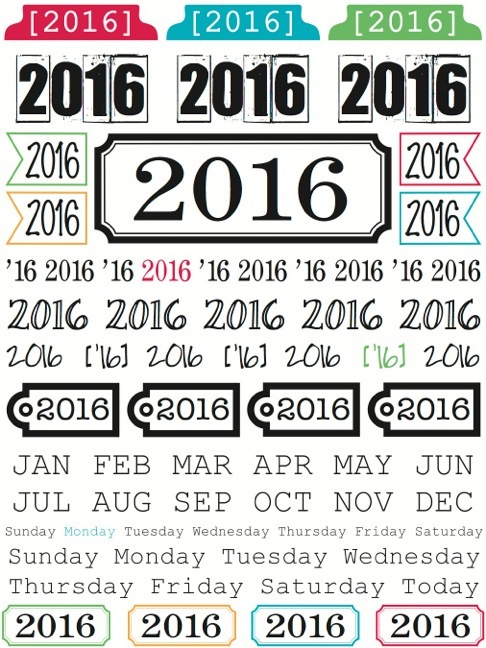 Easy, right?! 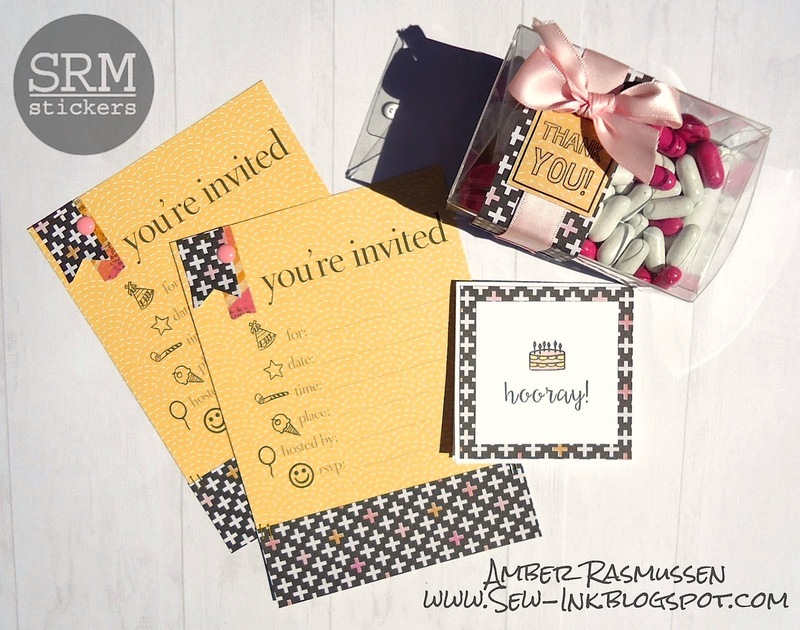 For a fun pop of yellow and some Hello Sunshine to welcome in the spring time weather, I used the We've Got Your Border Bright stickers. 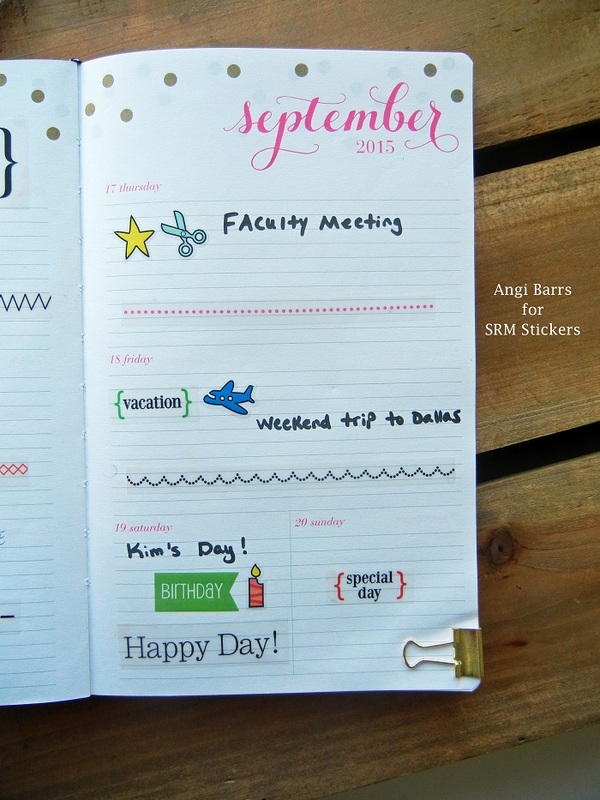 My favorites are the new planner stickers. 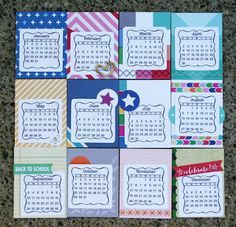 I was so excited to receive these in the mail. 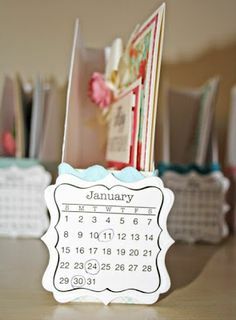 I quickly opened them up and started planning my year! 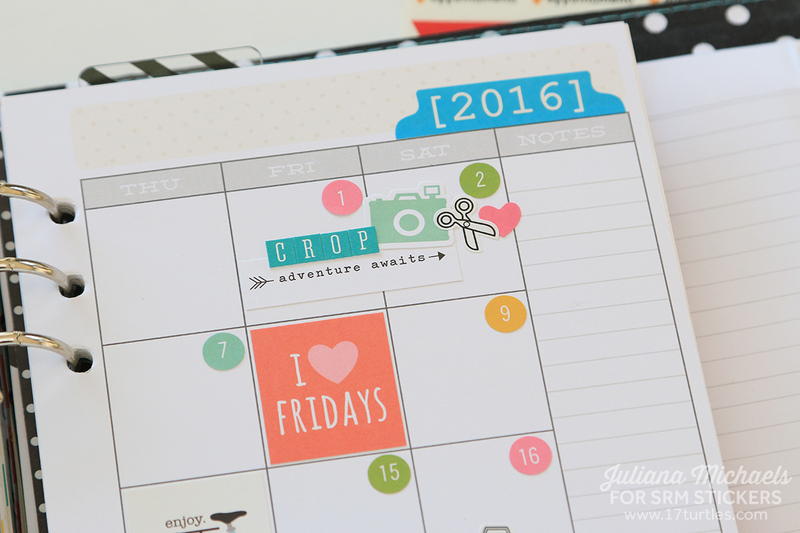 It's so fun to decorate each month in my 2016 calendar. 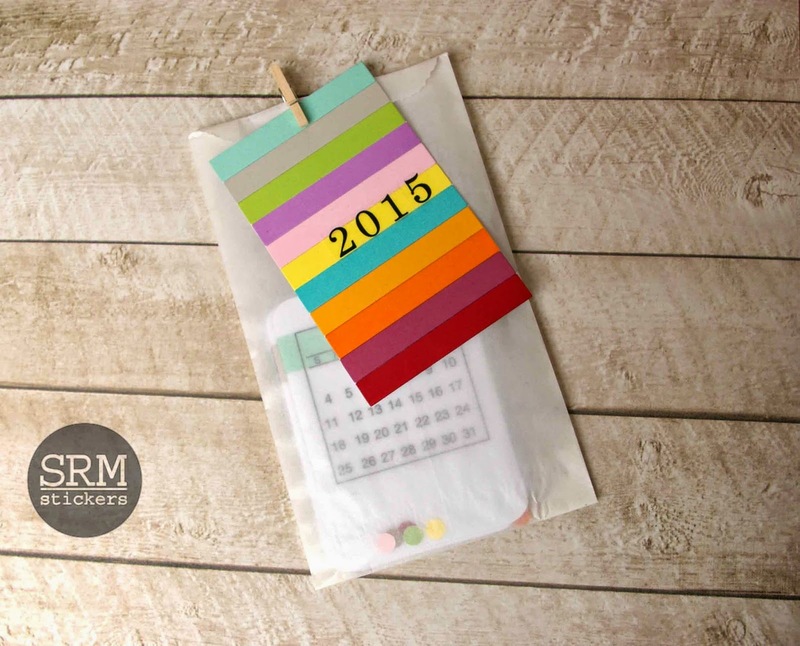 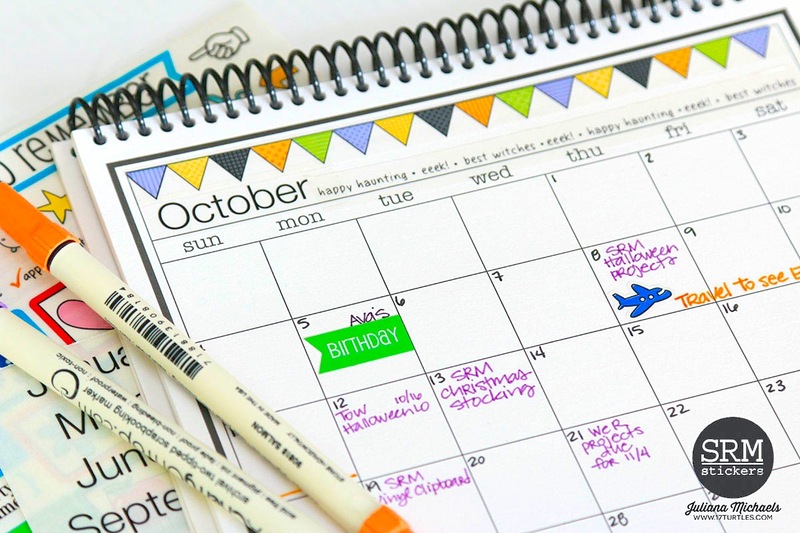 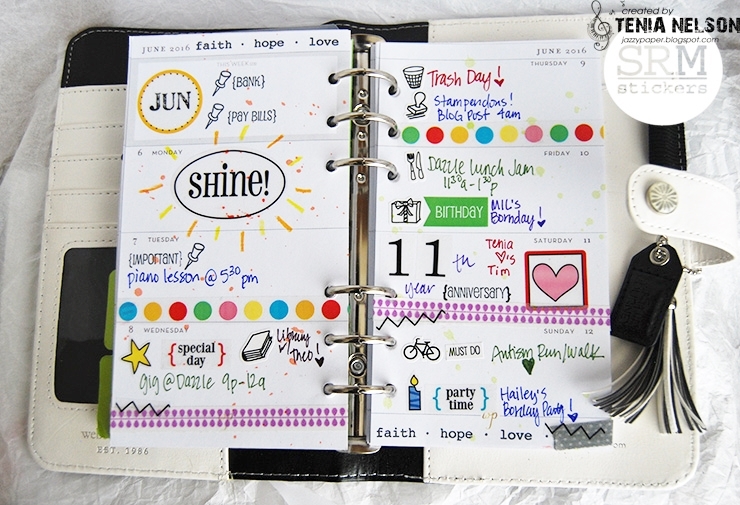 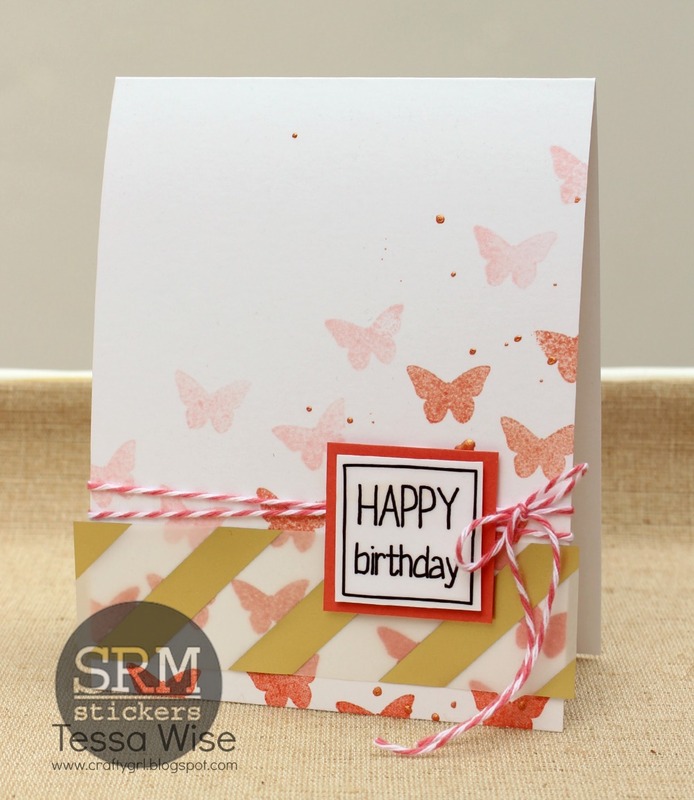 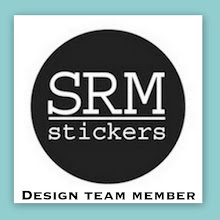 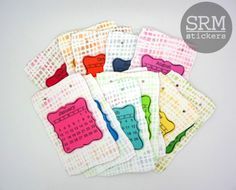 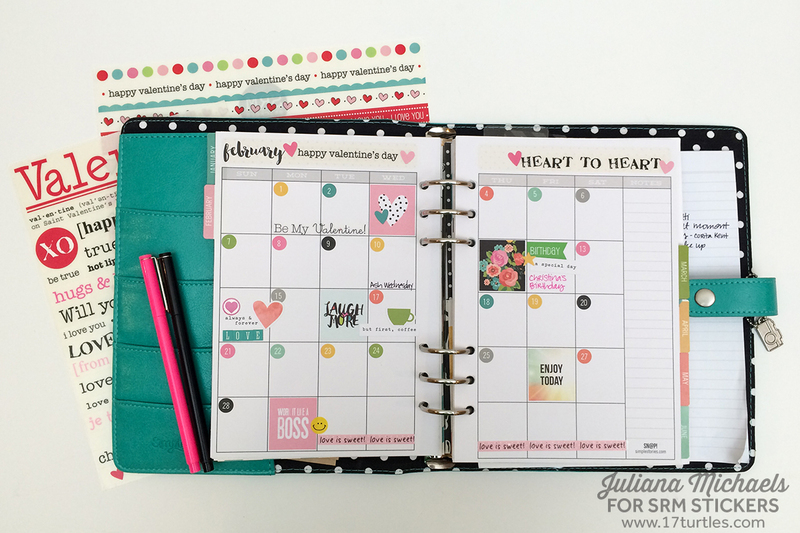 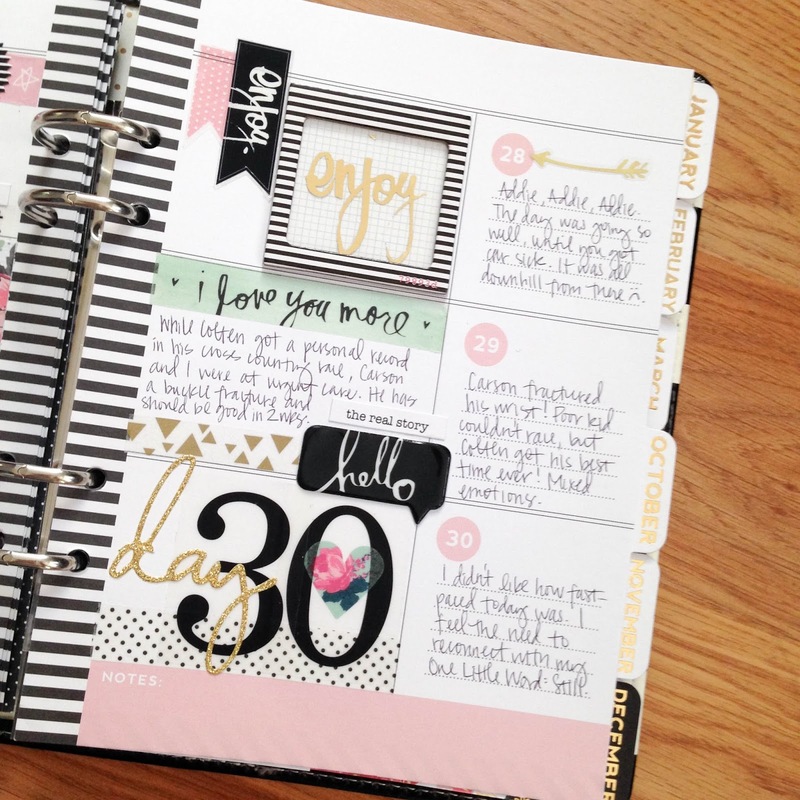 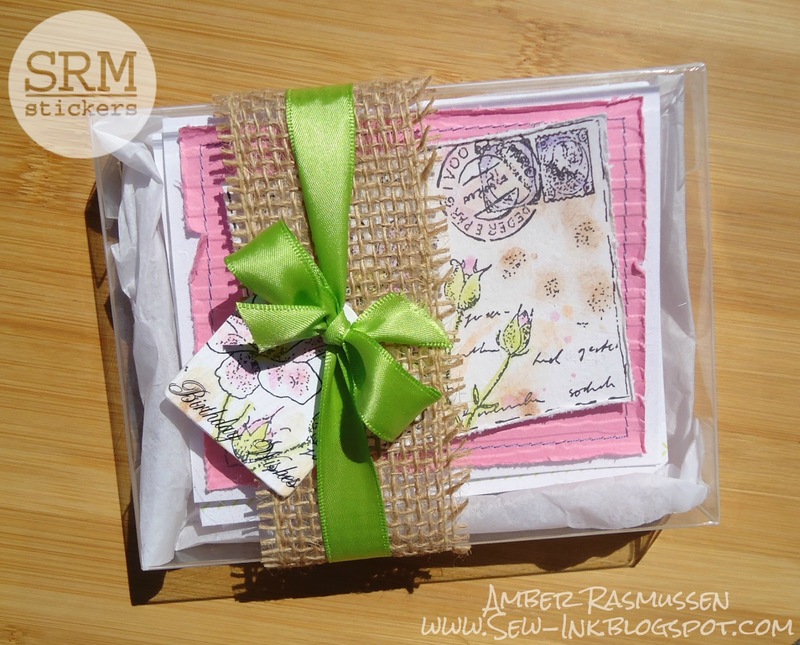 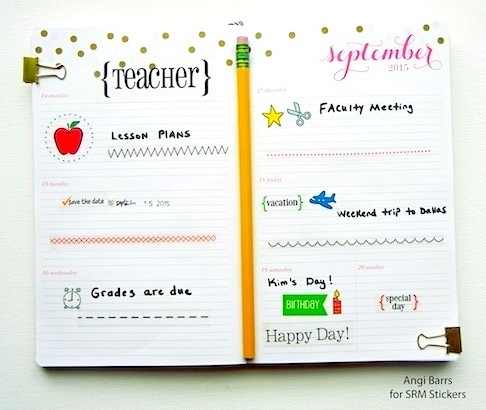 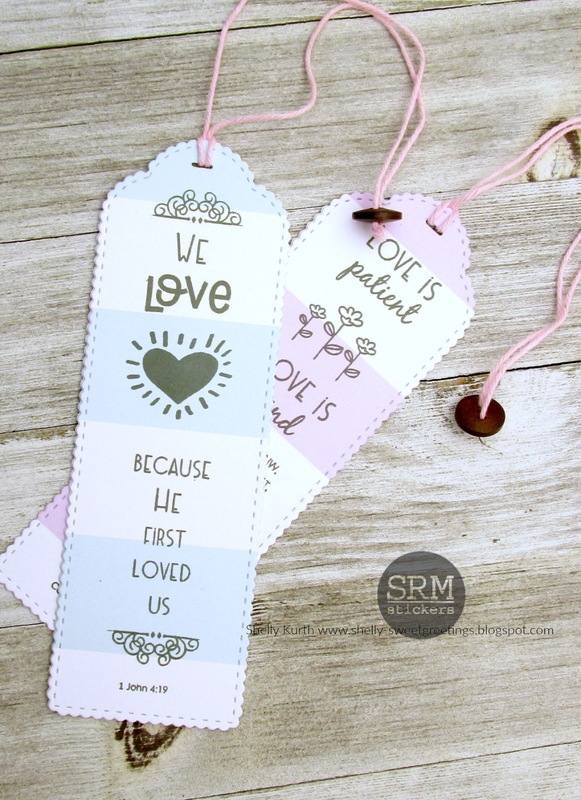 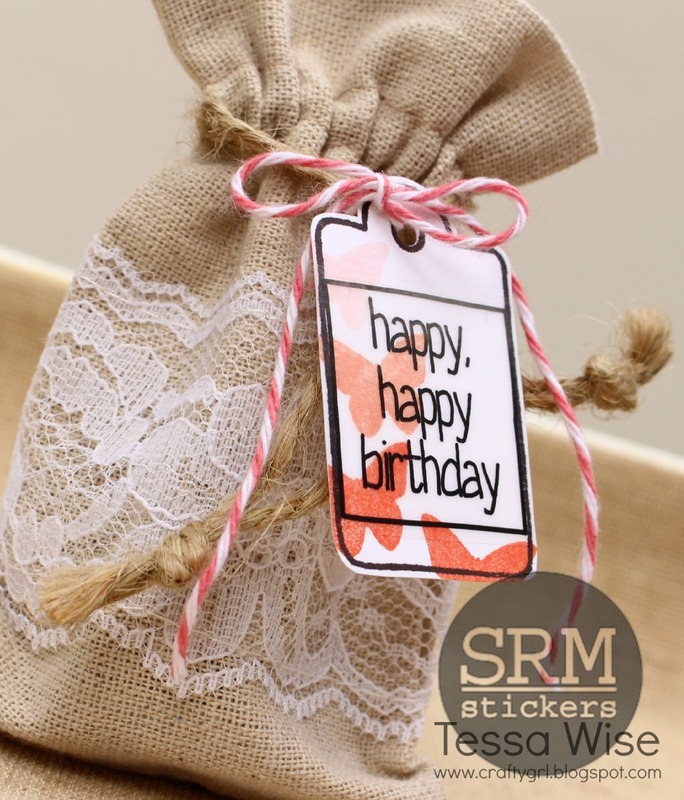 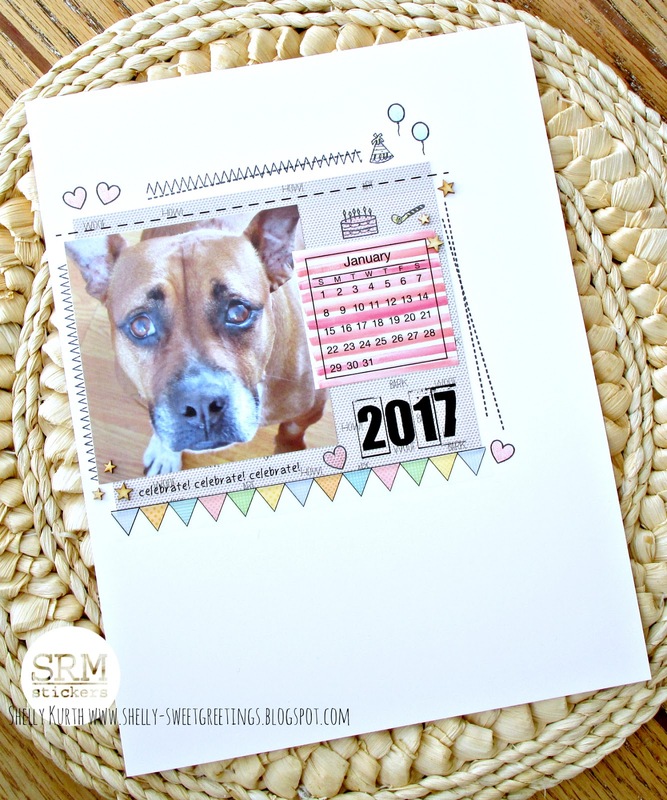 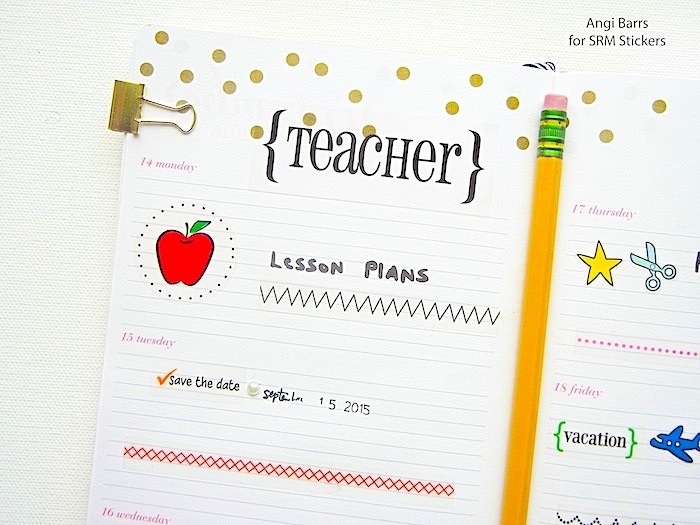 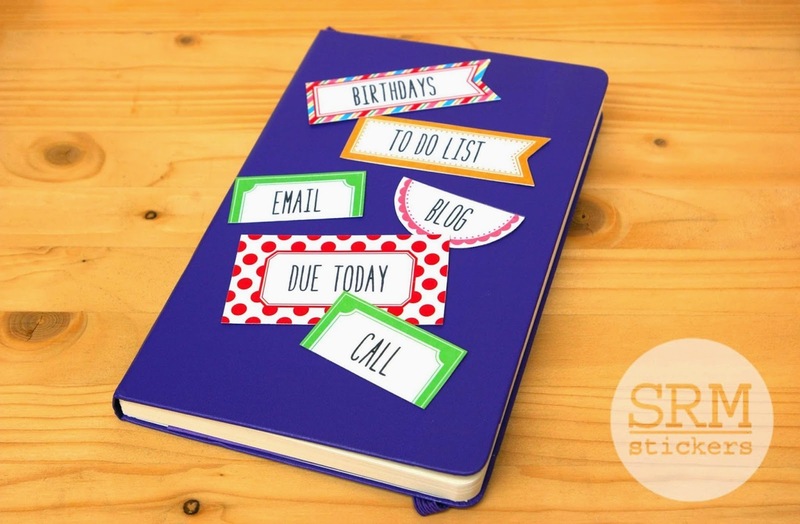 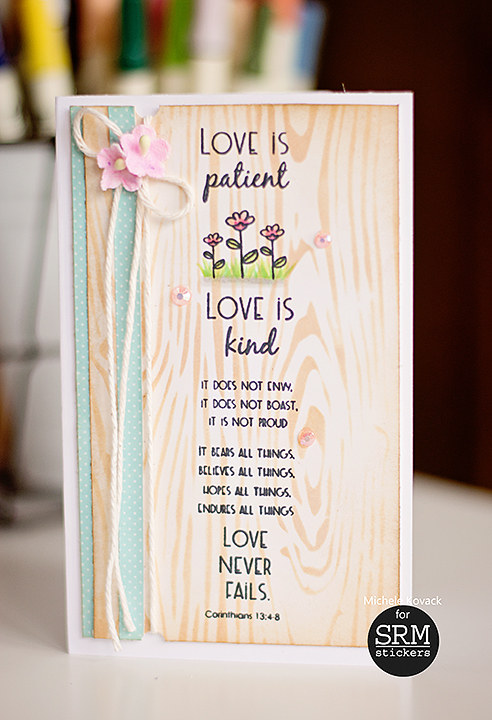 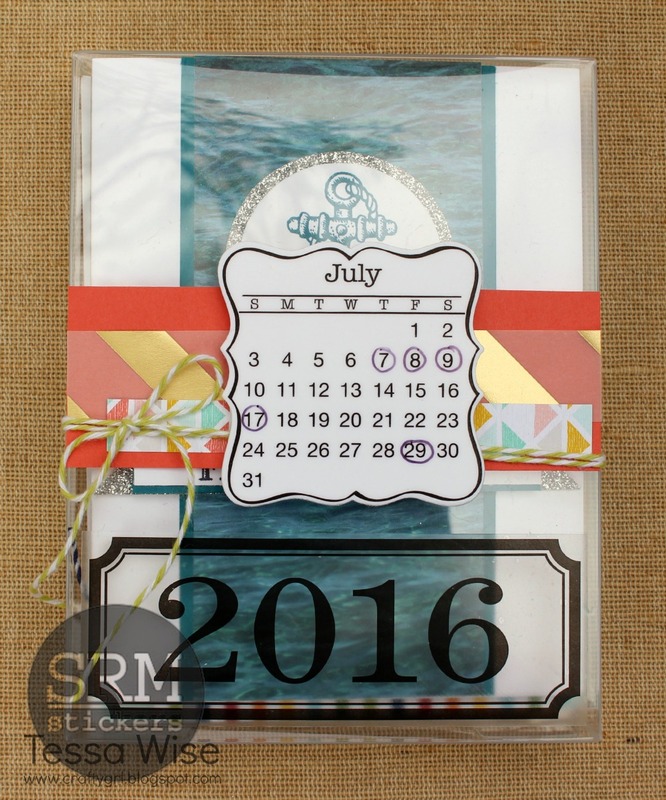 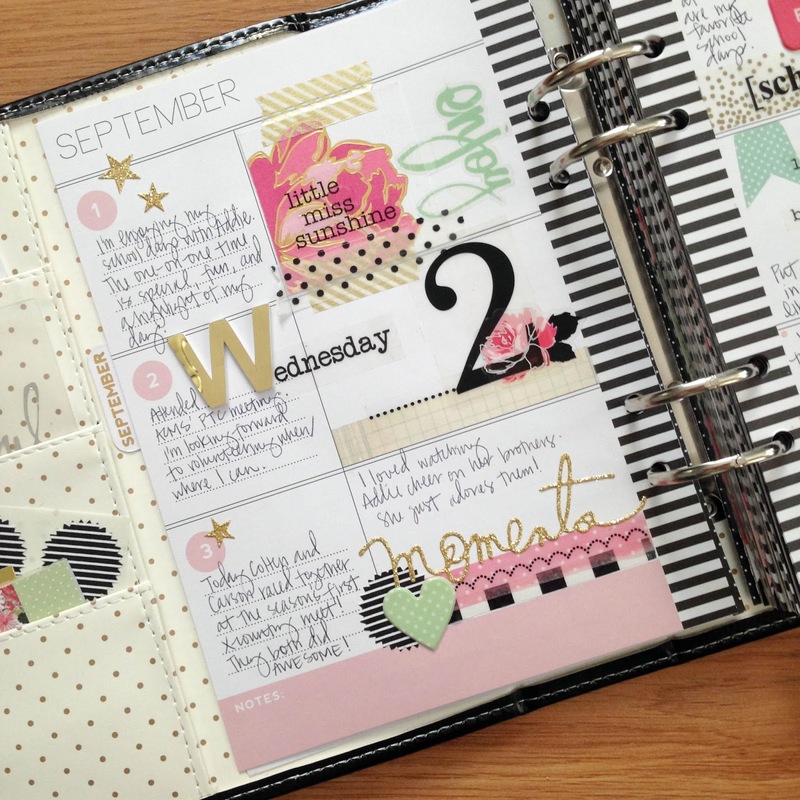 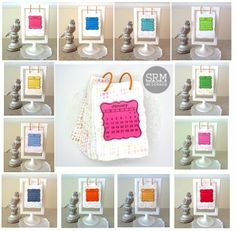 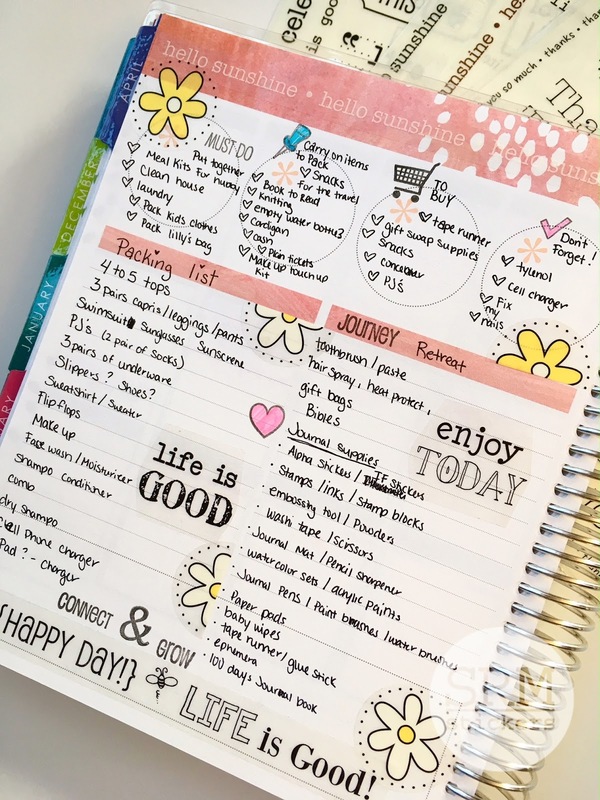 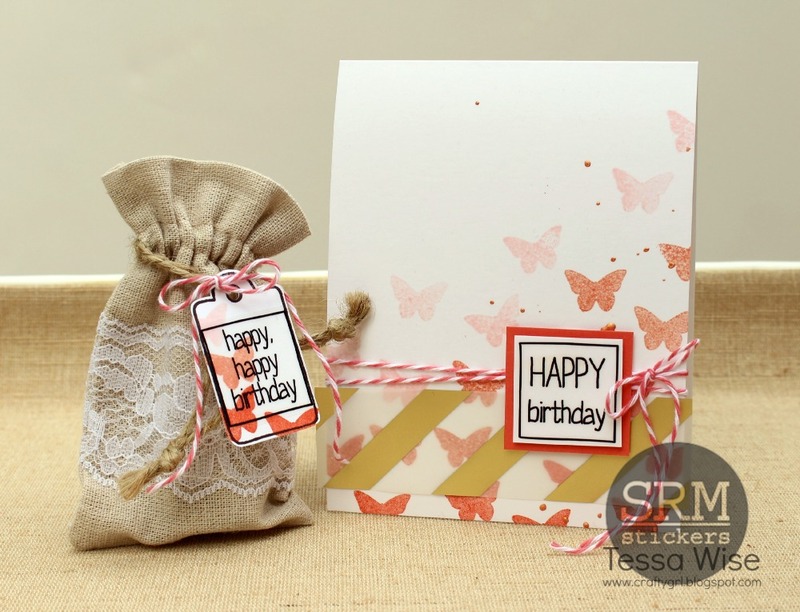 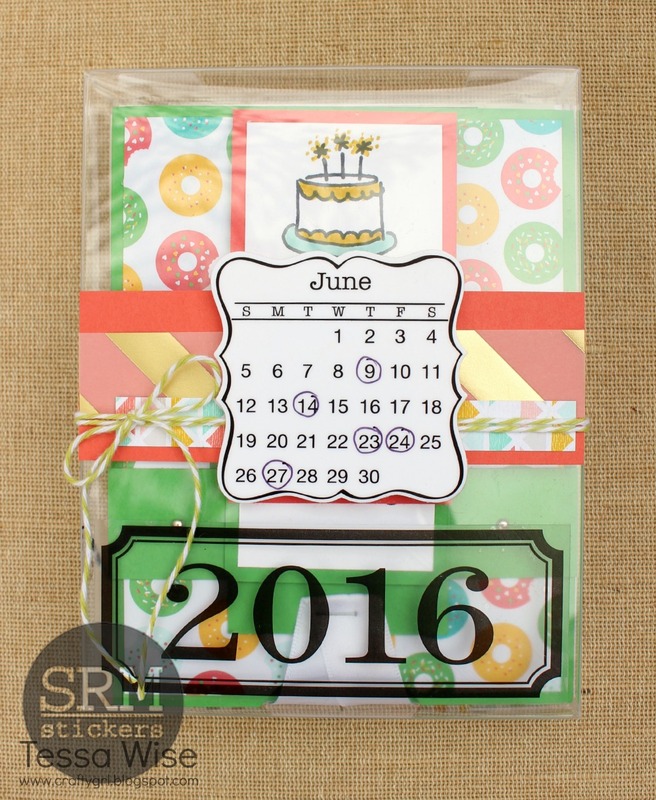 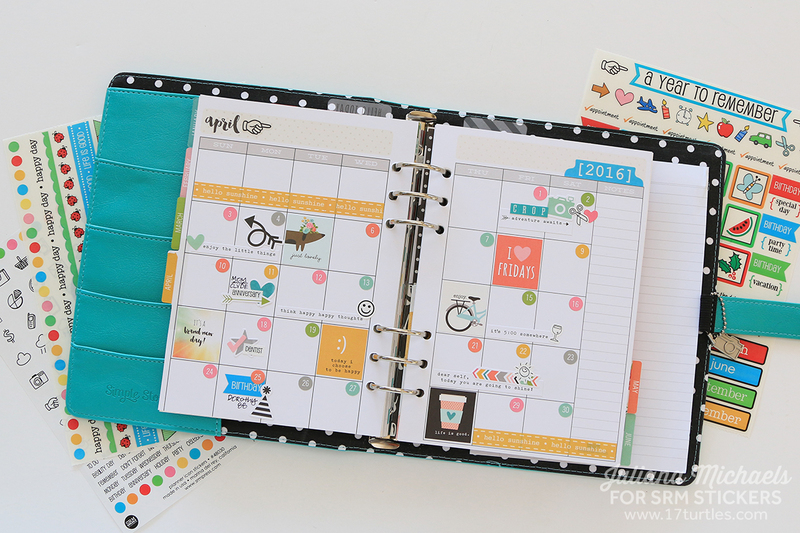 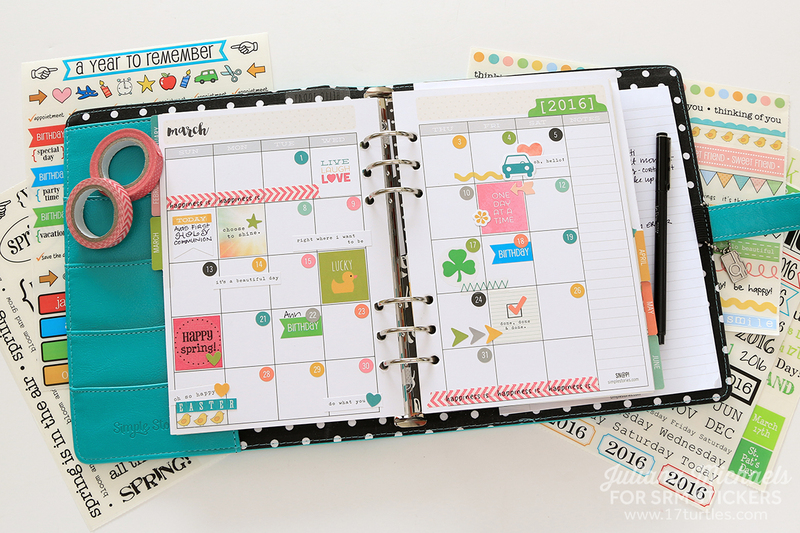 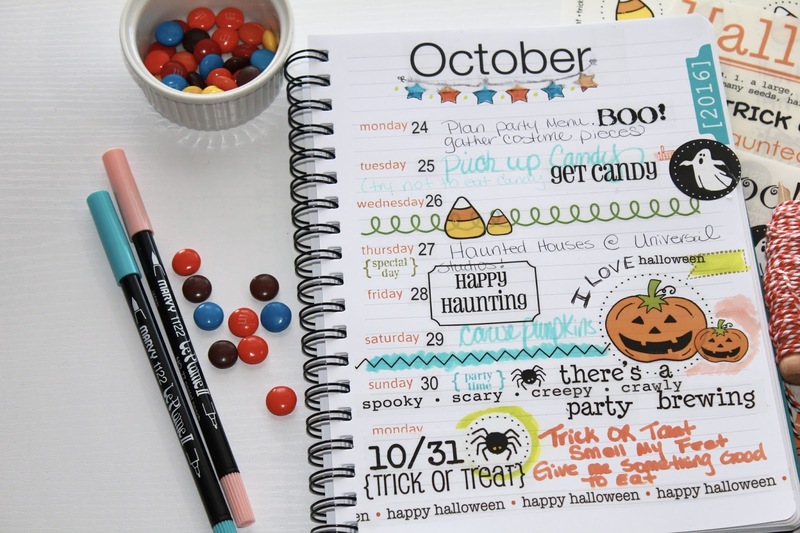 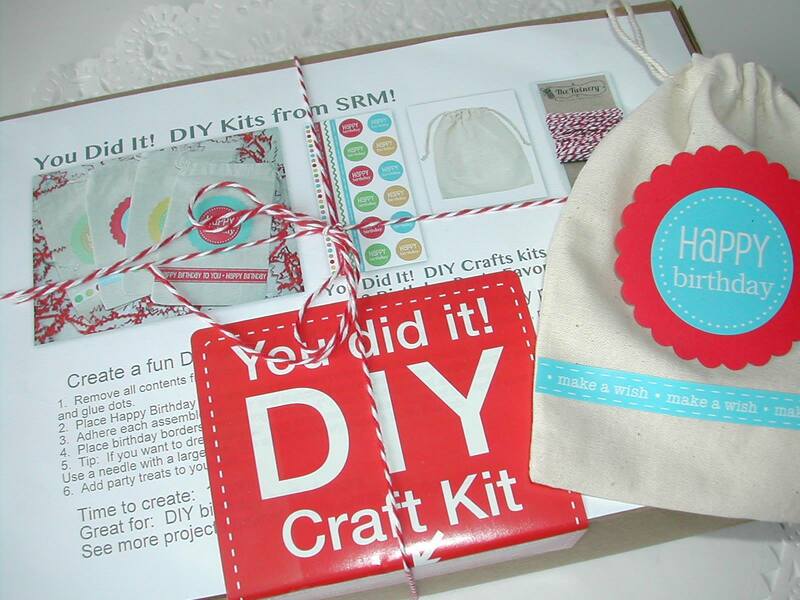 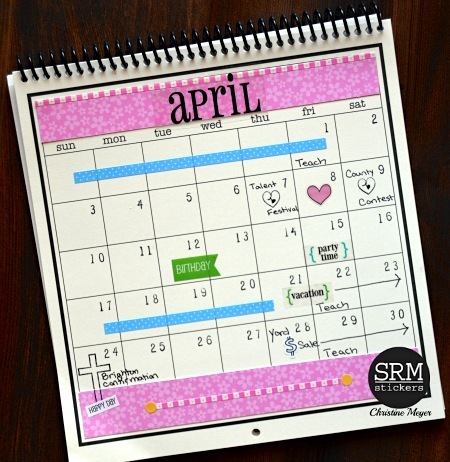 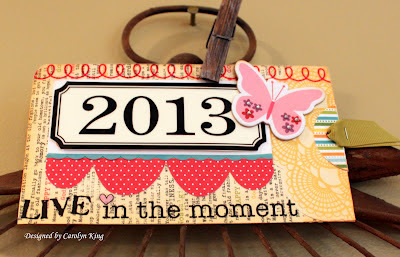 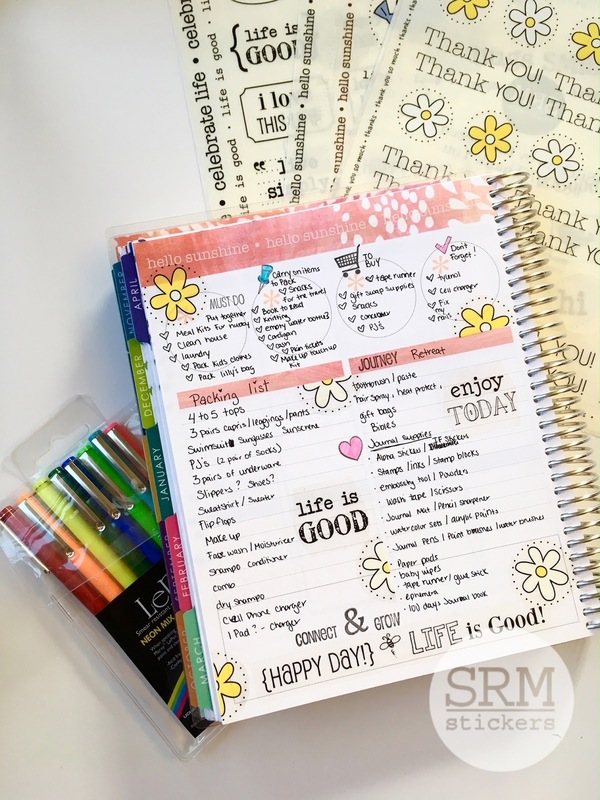 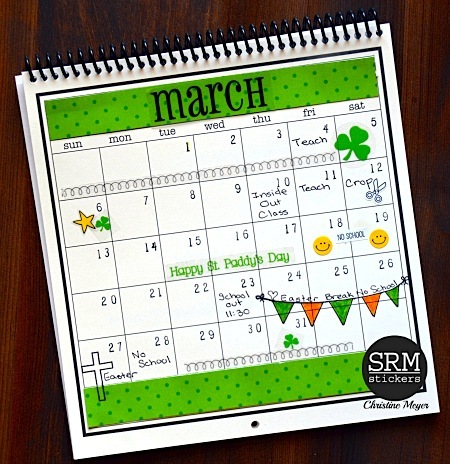 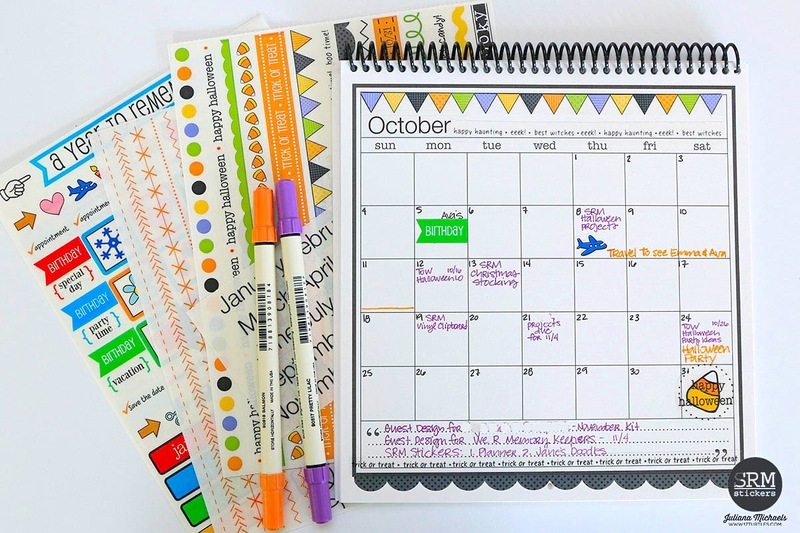 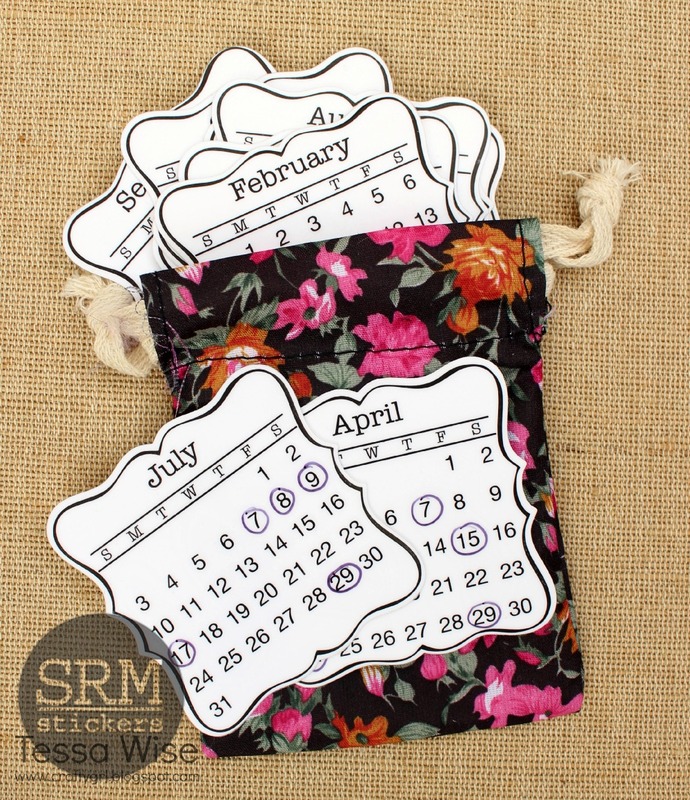 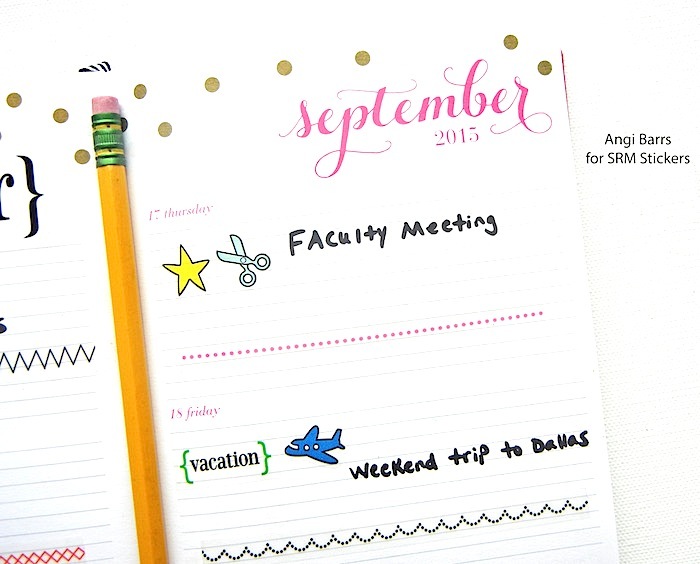 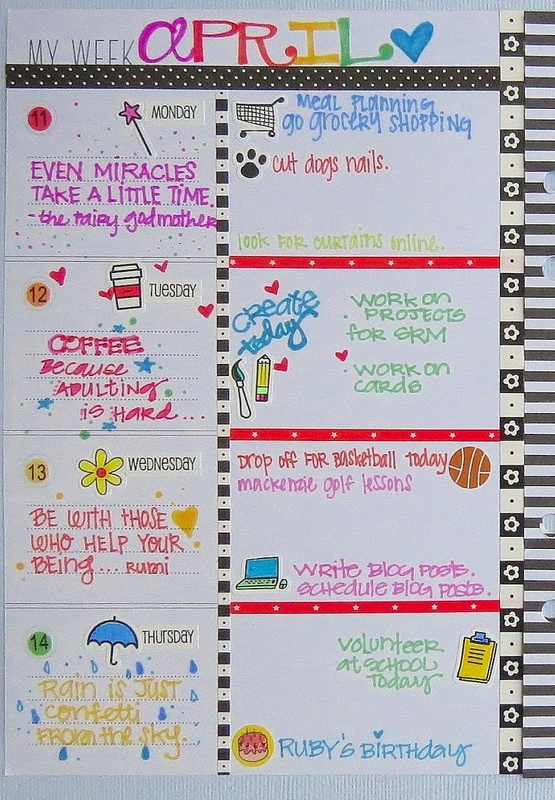 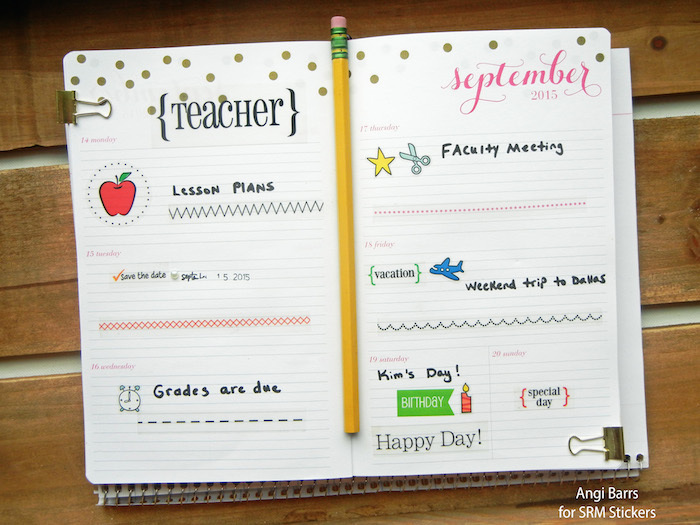 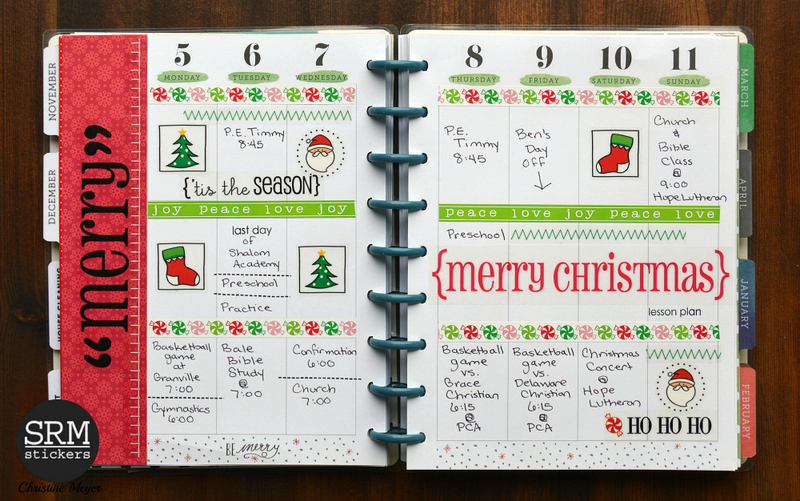 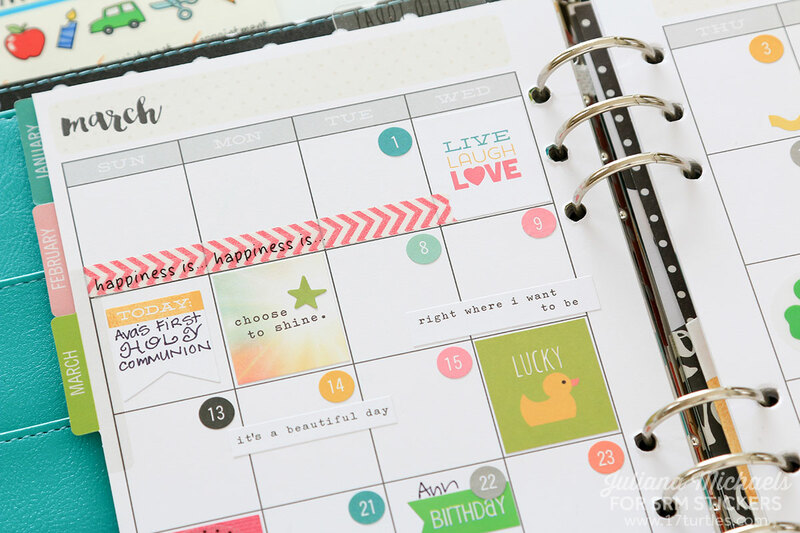 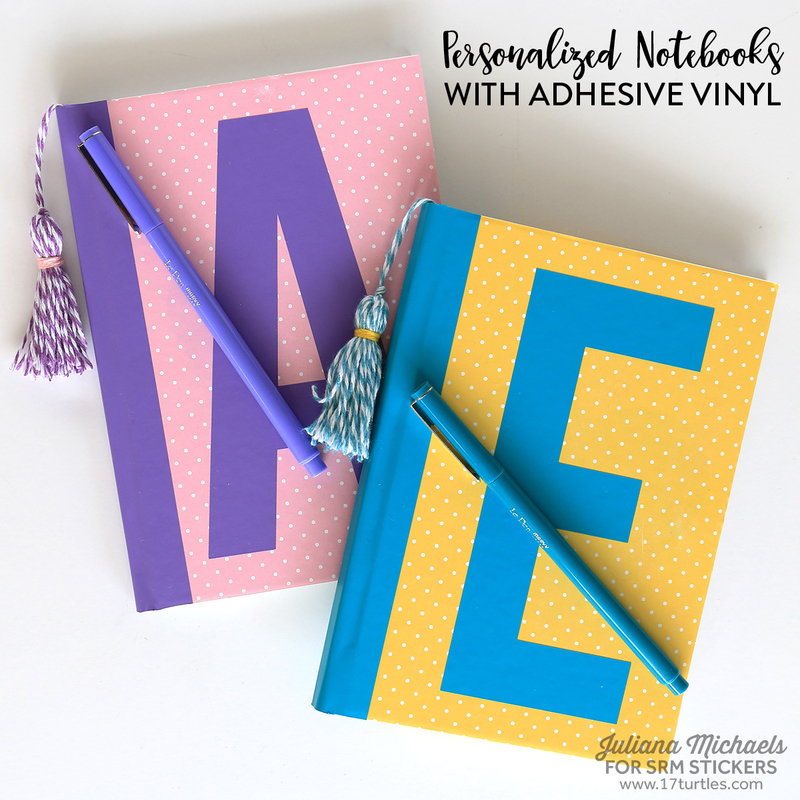 I'm using loads of new planner products from SRM Stickers. 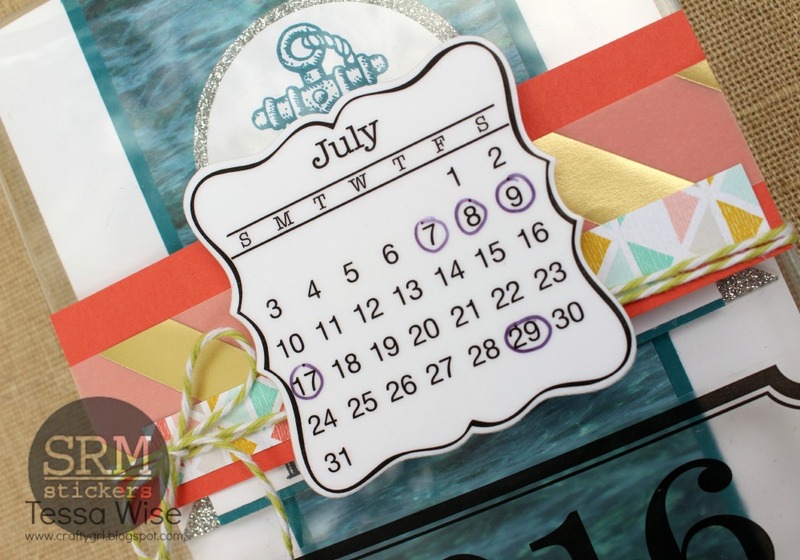 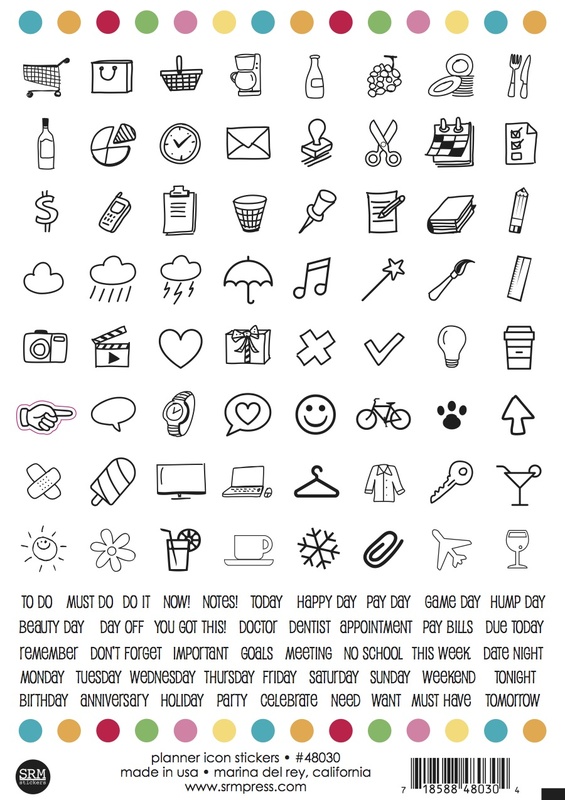 Day #1 - New Product Introductions - Planner Stickers & Stamps! 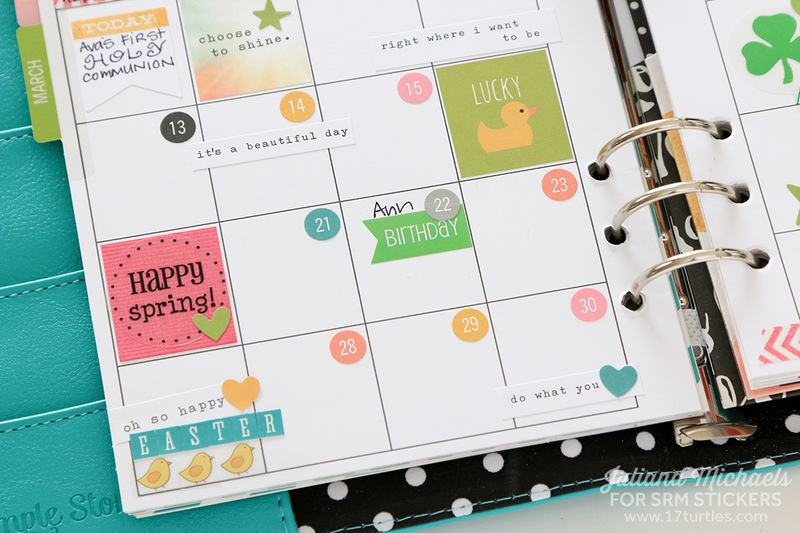 I also used the Sticker Stitches and the Stickers by the Dozen - Birthday Birdie on the page shown above. 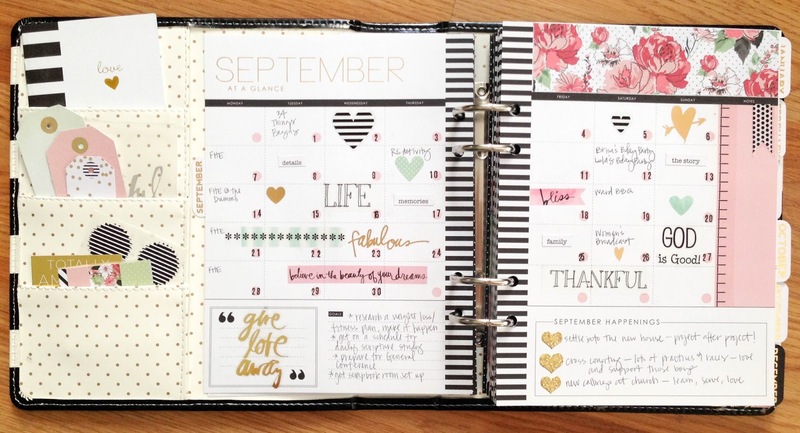 Both are great additions to your planner. 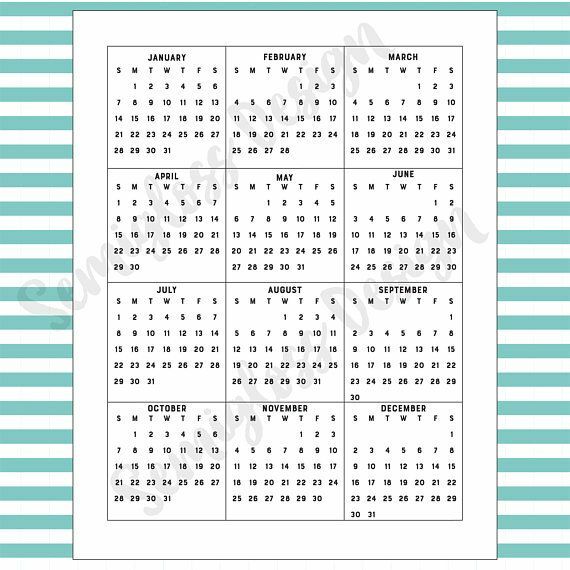 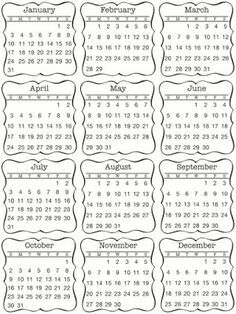 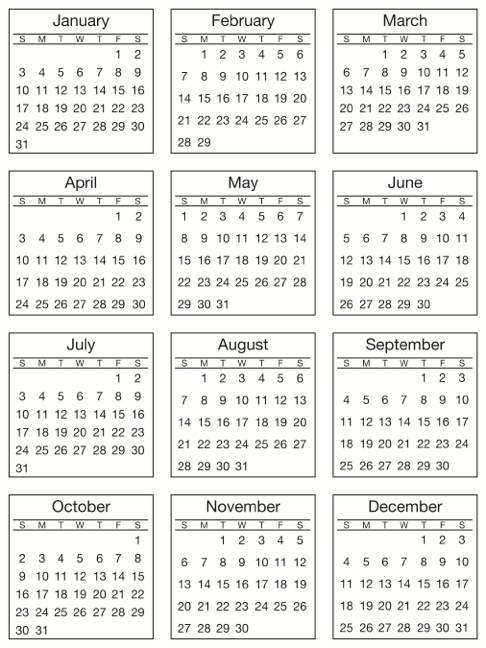 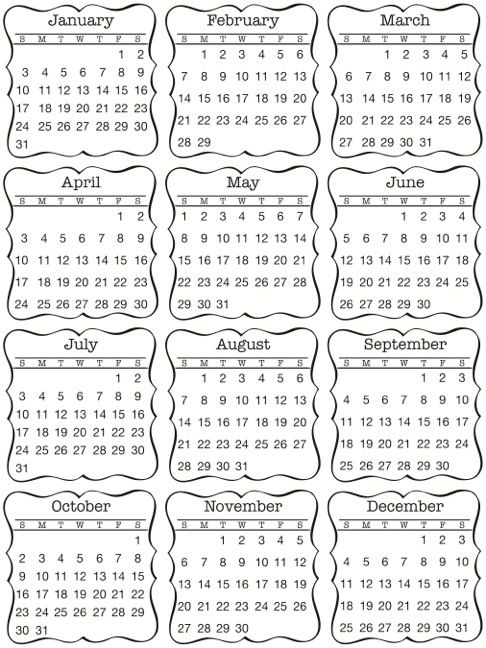 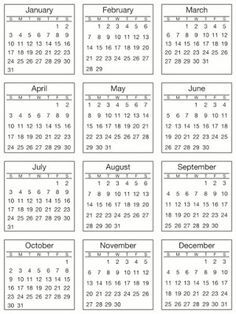 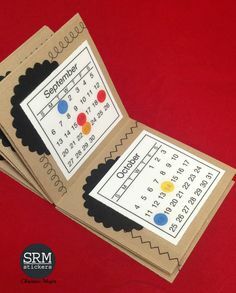 This is not what I use for a detailed planner but it works great for an overview of the big events of the month and is an affordable option. 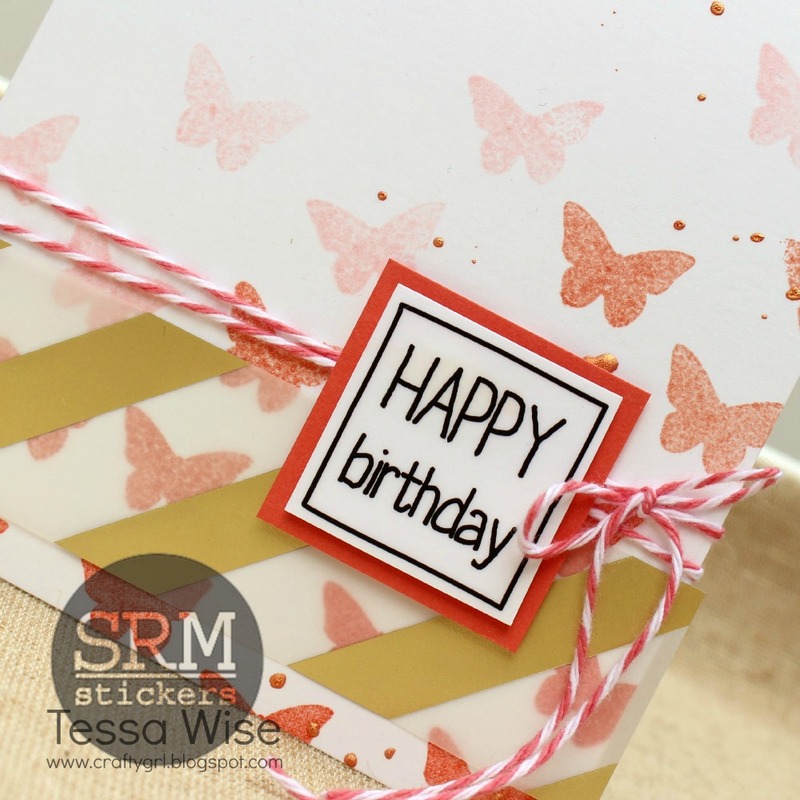 The official name for this type of shape is a dodecahedron. 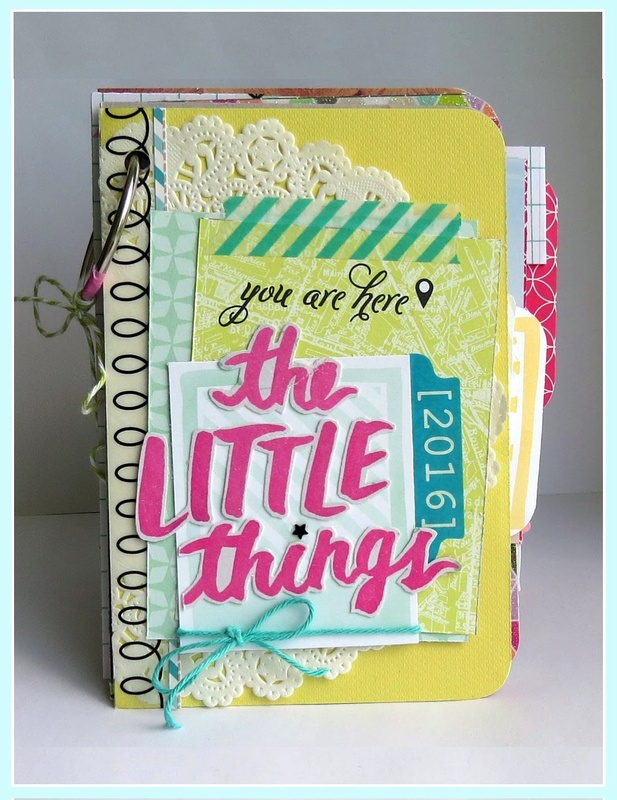 Creating one is pretty simple. 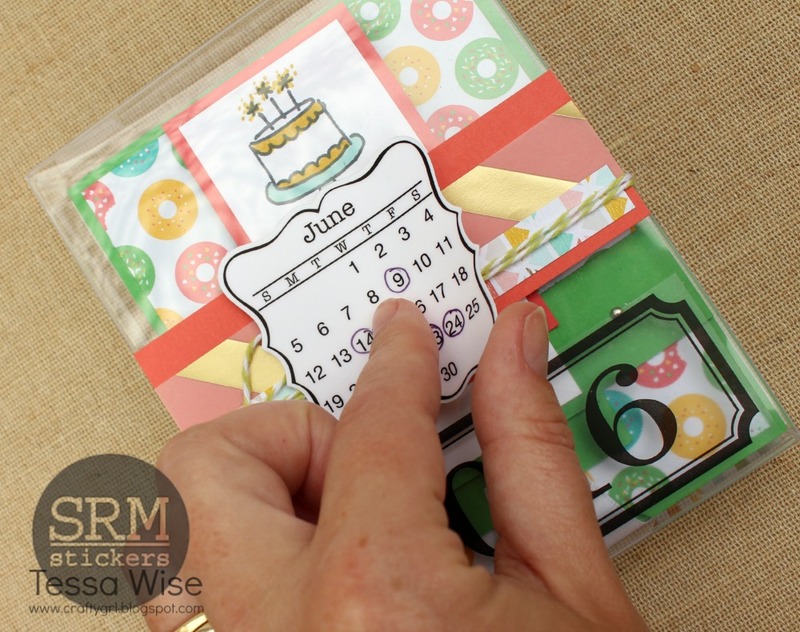 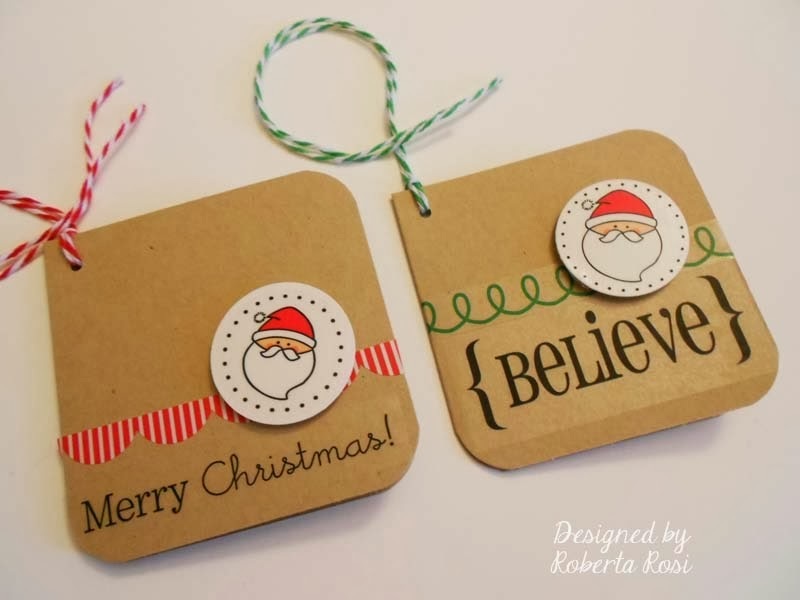 You start by cutting 12 circles from card stock. 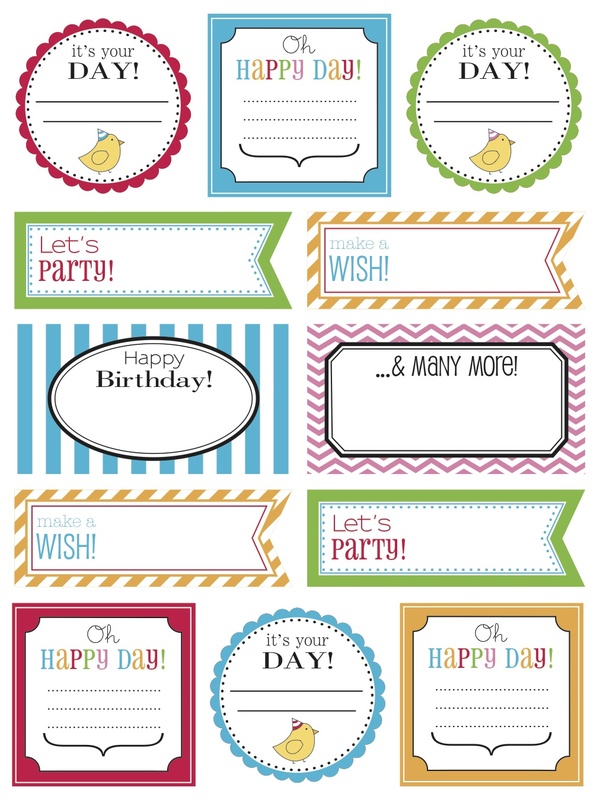 To finish things off, I added a happy birthday sentiment banner using a sticker sentiment and then making a banner out of my cardstock. 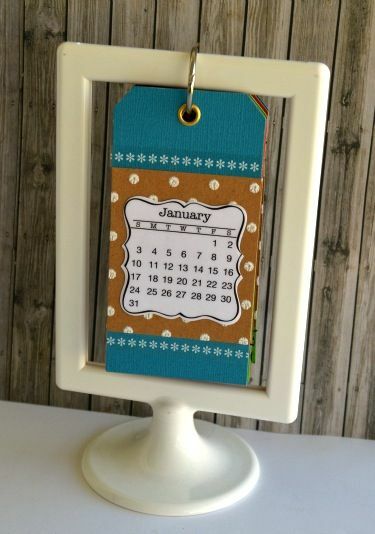 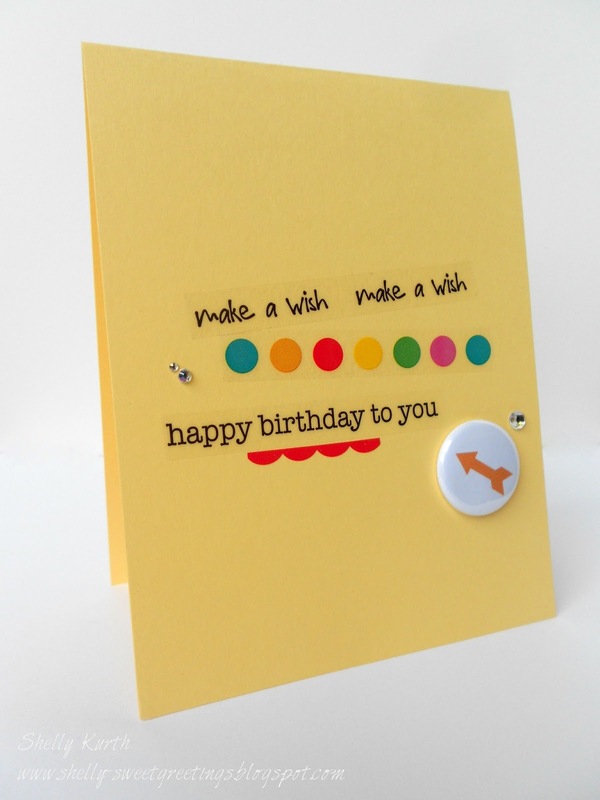 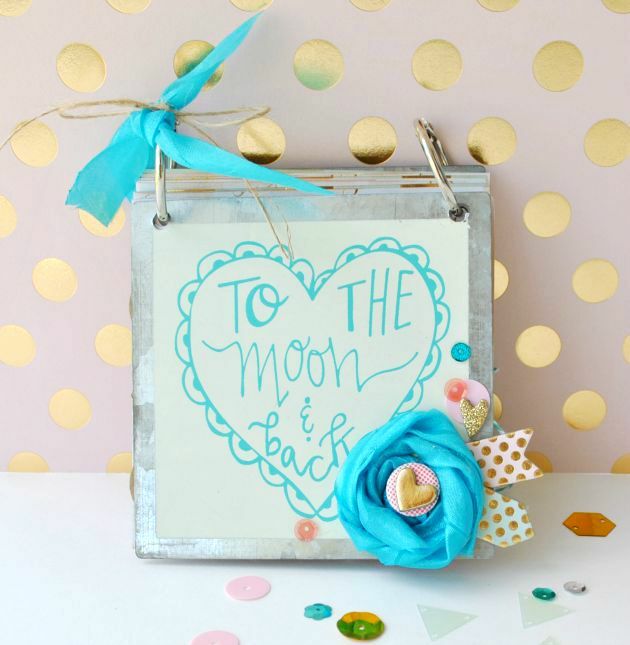 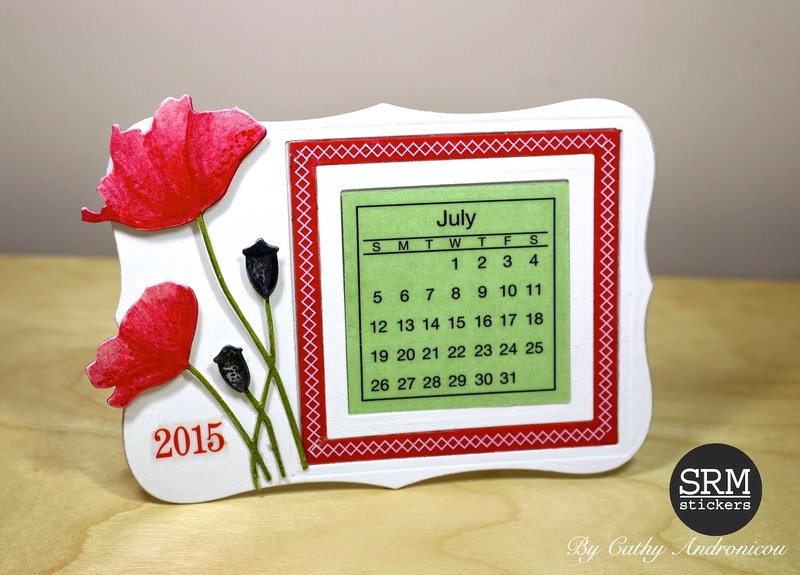 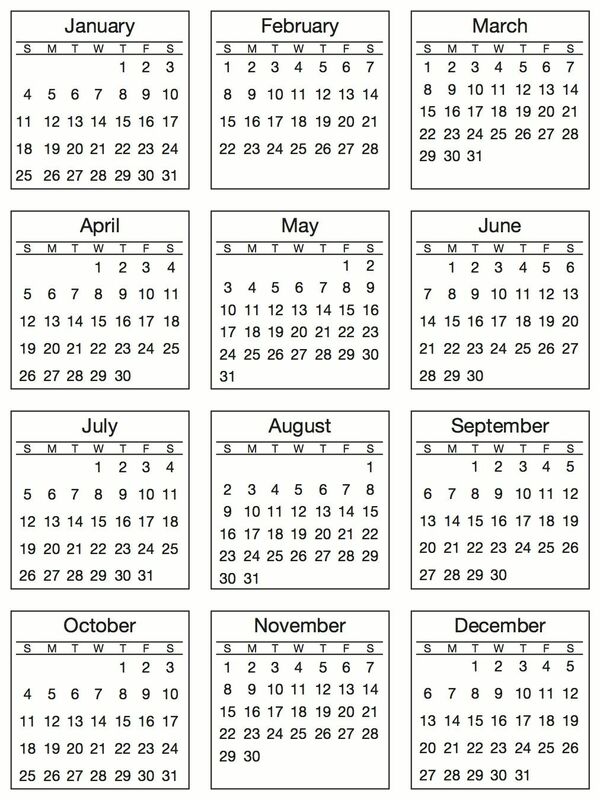 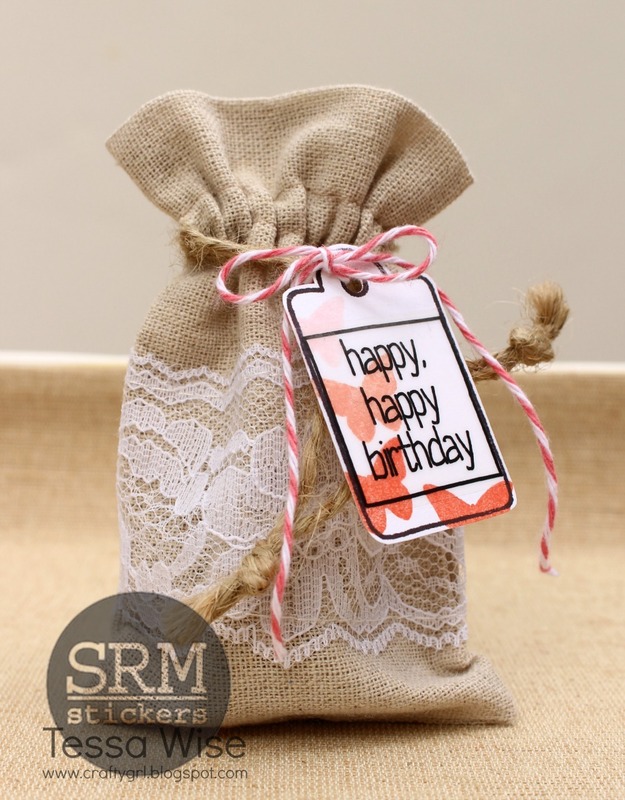 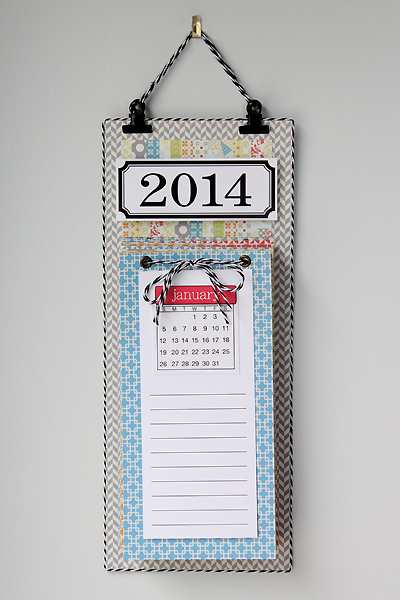 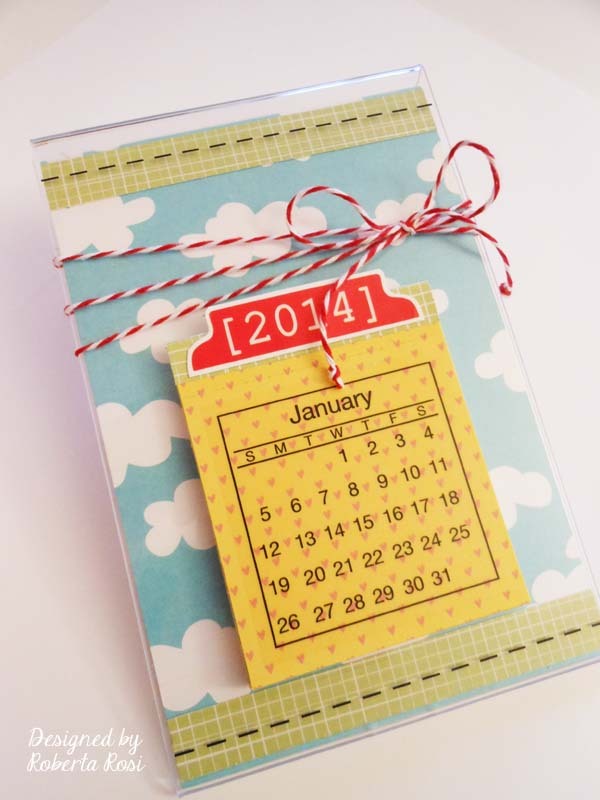 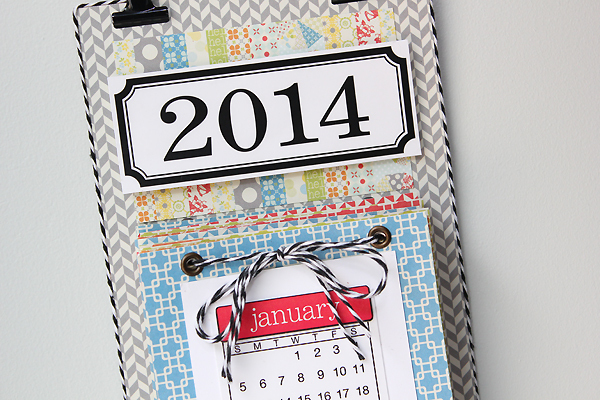 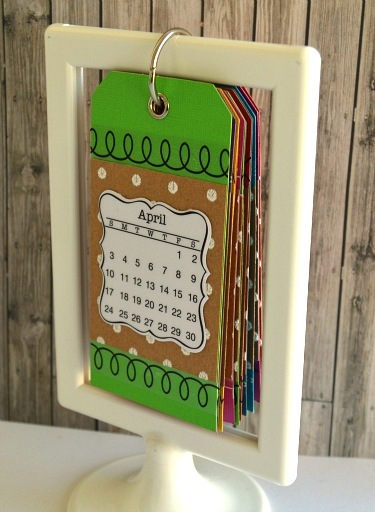 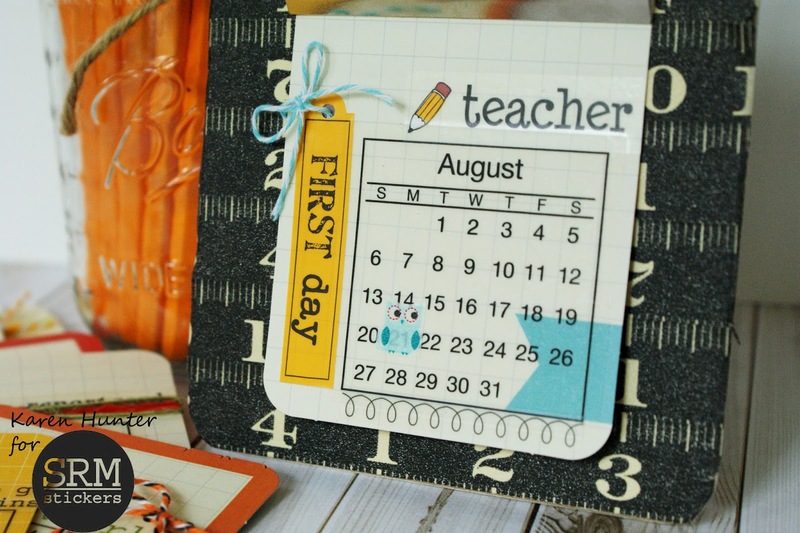 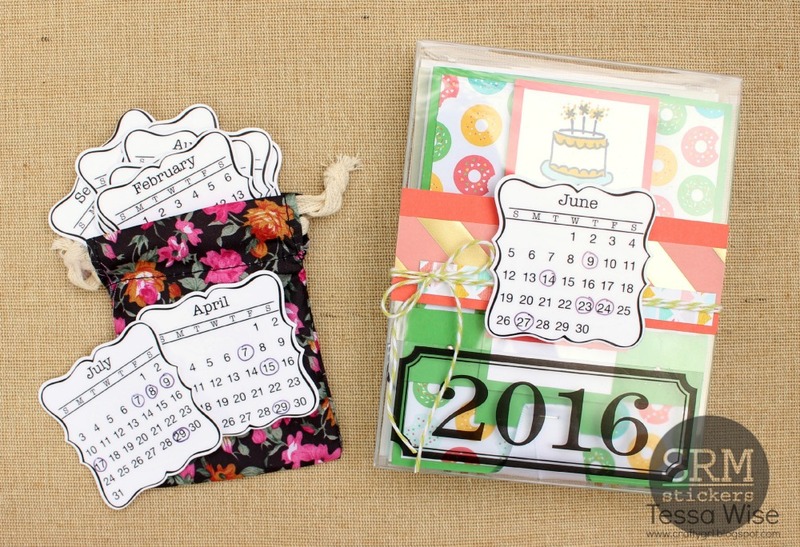 The base of this birthday calendar is created from a sheet of chipboard covered with patterned paper. 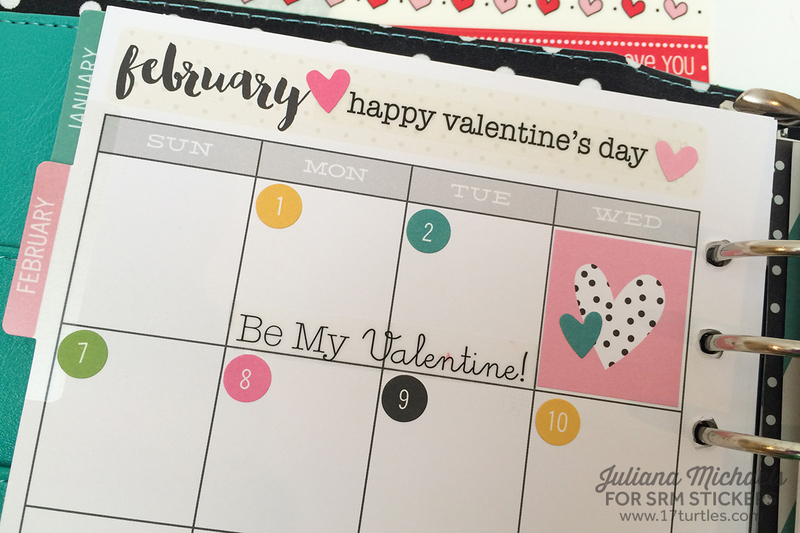 I thought it would be fun to add some bows to my February planner pages. 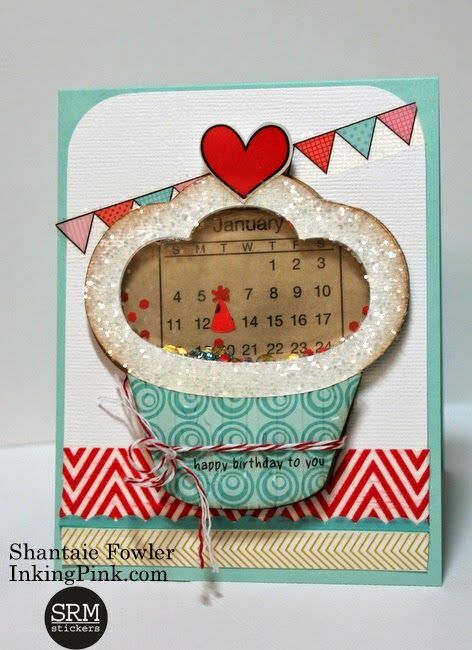 This one sits open on my desk so the bows are fun to look at all month.